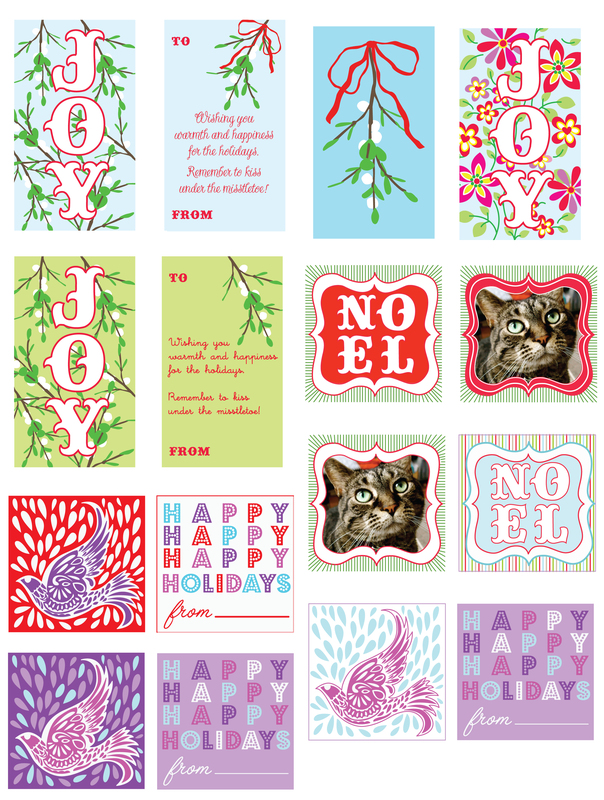 I am taking on the next Minted Challenge: to create holiday gift tags. They have 2 size requirements, square and rectangular. The gift tags can be with or without an uploaded picture option, and they are double sided. Here are my sketches so far. I see many changes that will be made to these. Thoughts, anyone?